The Belgian death metallers Aborted are preparing to release a new album "TerrorVision", which will come out on September 21 via Century Media Records. 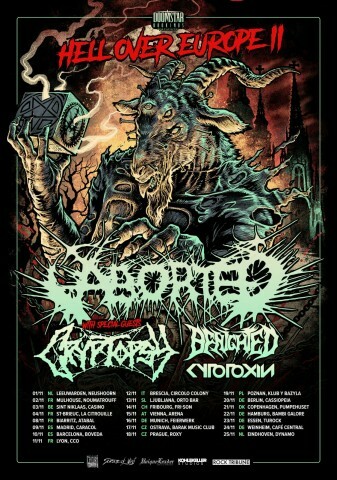 In addition, the group plans to go on a European tour in early November, along with Cryptopsy, Benighted, and Cytotoxin. "TerrorVision" recording process took place at the Kohlekeller Studio in Germany under the guidance of Kristian 'Kohle' Kohlmannslehner — follow the link to read our material in which the German producer names the main mistakes of home production. "So here we are, at it again. We just spent a little over two weeks recording the follow up to Retrogore, entitled TerrorVision at the mighty Kohlekeller Studio in Germany. Tracking is coming to its end, and it's been a record we poured a ton of work in over the last year or so. This is actually the first record we were able to do full pre-productions for and had Kohle involved in with since the beginning, and let me tell you, the result is there. We all feel very proud and strongly about how this beast is shaping. 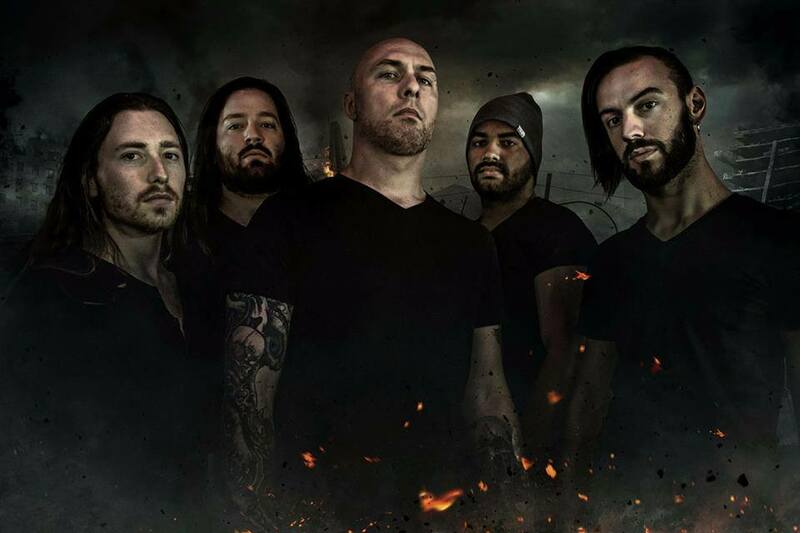 Get ready for the most ambitious, varied and brutal Aborted record so far. Kohle has been pushing us beyond the limit of what we have ever done and stuff is sounding massive; always a pleasure to have him involved. Next to that we can't be more excited to announce the line-up for our Hell Over Europe II tour. Last time we had a killer package; well this time for the release of TerrorVision I think not only do we have one of the best brutal death metal packages we could put together; but it's also the most awesome company of friends we could dream to share the road with for a month. Get ready to have your bodies annihilated by our friends of Cryptopsy, Benighted and Cytotoxin next to yours truly of course. This is going to be the party you don't wanna miss out on, we are ecstatic to share the road with our good friends and hang with you all, see you all out there, PREPARE TO GRIND!!!!!!" Aborted’s currently latest record, EP "Bathos", was released as a seven-inch vinyl on July 7, 2017 via Century Media. The band’s full-length album "Retrogore" came out on the same label in April 2016.